By Ann-Christine Diaz and Alexandra Jardine . Published on April 15, 2019. Last year, consumers tested Nike shoes while jogging across Paris rooftops and atop fluffy clouds as avatars in “Reactland,” a video game played while on a treadmill. Asics had runners improve their mental focus on a “Blackout Track,” a controlled environment kept dark and silent. Honda pitted a real Civic against a video-game counterpart on a mixed-reality racetrack. Mobile game company King projected a jumbo, playable version of its new Candy Crush title on a New York skyscraper. And Taco Bell pranked Londeners by making it sound like Big Ben was chiming out the brand’s signature ding. The common thread among these out-of-the-box experiences? 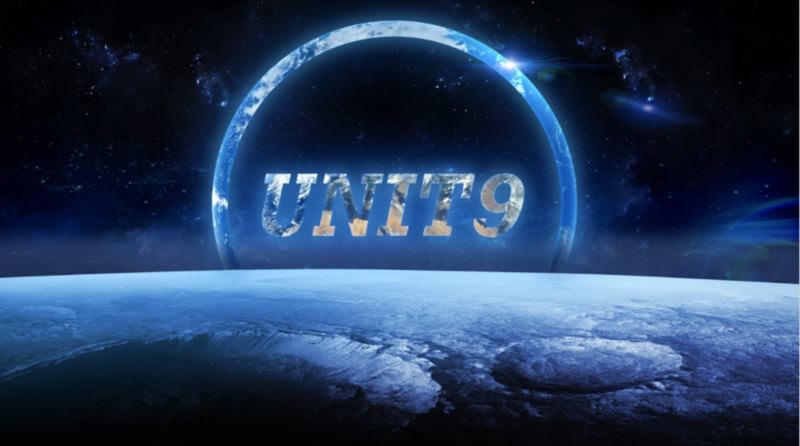 Unit9. Since its founding in 1996 by Piero Frescobaldi, Yates Buckley and Tom Sacchi, the London-headquartered multidisciplinary production company has tackled the trickiest of jobs, with an emphasis on emerging technologies. Frescobaldi says a singular question drives the company: “What haven’t we seen in the world yet?” In 2018 that propelled Unit9 into areas including robotics, VR, experiential, AI, gaming, neuroscience, film and live entertainment. When the company opened, the founders were an unlikely trio of a film producer, a computer scientist and an architecture school dropout interested in the newest tech—which at the time was happening on things like CD-ROMs and interactive kiosks. Frescobaldi says they had expected to work in art, education and fashion, but early projects such as an interactive music video for U.K. band Clinic earned recognition at D&AD and got the attention of agency creatives. Unit9’s London HQ is in a warehouse-style building where an autonomous robot designed to paint a soccer pitch—built for a Nissan campaign last year—has place of pride by the front door and awards trophies fight for space with cacti and funky furnishings in the reception area. It also has offices in Berlin; Lodz, Poland; and Los Angeles—the last in a cozy space on Sunset Boulevard in the historic Hollywood Athletic Club. The diverse spaces reflect how the company has broadened its offerings. 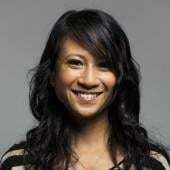 In 2013, Unit9 acquired director Michelle Craig’s production company, Holster Studios, now known as Unit9 Films. In 2017, it added fledgling animation and visual storytelling studio Nucco Brain and, last year, it formed a joint venture with feature-film production studio Nowhere, extending its capabilities in longform content. Unit9’s talent pool is primed to go myriad directions. “They’re architects, physicists, people who bring different perspective to the creative,” says Craig, who’s based in L.A. along with fellow Creative Partner Gilles Boisselet, one of the company’s math- and computer-science pros. Director Alex Horton, for example, had made a name for himself in the gaming world as a lead animator in Rockstar Games’ Grand Theft Auto franchise. He’s now translated those skills to projects such as Nike’s “Reactland,” created out of Wieden & Kennedy Shanghai. The Candy Crush project, which earned a Guinness World Record for largest-ever architectural projection-mapped game, was led by Kate Lynham, an architect and 3-D designer. But Unit9’s 26 directors are just one pillar of the company’s team, which includes technical directors, developers, producers and more. “We’re in a fortunate place where briefs come in not for individuals, but because of our company brand,” says Adam Dolman, managing director of Unit9 Films. The complexity of the projects demands that mix of art and science. For Asics’ “Blackout Track,” for instance, the budget didn’t stretch to totally soundproofing the venue. So Unit9 brought in a sound scientist to create an immersive audio field that essentially muted all external sounds—even the athletes’ own footsteps. The company’s expertise also allows projects to go down unexpected trails. Dolman says the brief for the Candy Crush game, created out of M&C Saatchi, originally came in through Unit9 Films, but that its events, interactive, film and animation divisions all contributed. As inventive as Unit9’s productions are, many of its projects still fall into the category of “the cherry on top,” that extra experience afforded by brands’ additional budgets, says Rosh Singh, the shop’s managing director in London.